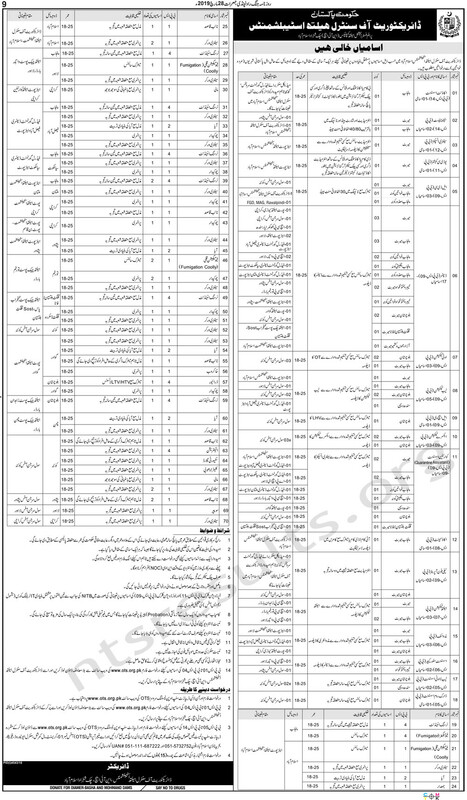 Prime Minister PM National Health Complex Directorate Of Central Health Establishments Jobs 2019 Via OTS has been announce.Last date to apply is Thursday, 11th April 2019. Health is the ability of a biological system to obtain, convert, allocate, distribute as well as utilize the energy with maximum efficiency. Health is the foremost thing to any human being. Every person wishes to be have a good health. National Institute of Health is one of the most prestigious institutions of the country involved in multi disciplinary public health related activities like diagnostic services, research and production of various vaccines. Applications are invited from candidates to fulfill the posts in Prime Minister PM National Health Complex. Candidates having require domicile and having require qualification are eligible to apply. All those candidates who have the require qualification and are eligible for the Prime Minister PM National Health Complex Directorate Of Central Health Establishments Jobs 2019 Via OTS must apply to grab this golden opportunity. Applying procedure as well as other requirements for the jobs in Islamabad Directorate Of Central Health Establishments are mention below. OTS test fee can be pay in any branch of HBL & Bank Alflah. Last date to apply is Thursday, 11th April 2019.